Xinglong Tropical Botanical Garden is located in Xinglong Town Wanning City within one hour and half driving from Sanya. There is no public transportations to reach Xinglong Tropical Botanical Garden. To reach the garden, one has to take bus from Sanya to Xinglong Town then local bus or high speed train from Sanya to Shenzhou, then by local bus to Xinglong Town. 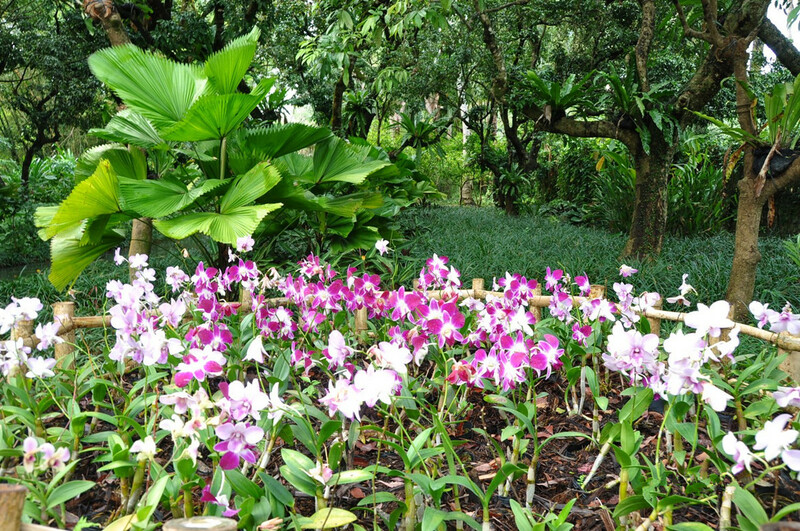 Xinglong Tropical Botanical Garden is one place that can’t be missed in Xinglong Hainan Island which is the biggest Tropical Botanic Garden covers around 340,000 sq. meters. It is not only a famous tourism place, but also the biggest tropical agriculture and flavor research institute of China. It really deserves the name of “tropical plant encyclopedia” with more than 1,200 kinds of plans growing inside. To name some, there are antiar tree, eucalypt, teak, spindle tree fir, bread tree, cocoa tree, pepper plants and vanilla etc. There is a big supermarket with products by Xinglong Tropical Botanical Garden at reasonable prices. Xinglong Tropical Botanical Garden was built in 1957 covering an area of 400,000 sq. meters with 1200 tropical plants. It is nearly perfect for plants to grow; now the botanic garden does not only play the role of an important agricultural base, but also a famous tourism resort. It really deserves the name of “tropical plants encyclopedia”. It will be a wonderful experience to know what Coco, coffee, peppers and many other plants we may never see them before look like before you have them in your cups. It is one of the most popular tourists attractions on Hainan Island. You must try the local coffee and tea, which are provided free of charge in the Garden. And you could buy some back home to your friends. Except the local coffee and tea, you must try the tropical fruit called “mystery fruit”. You eat the fruit first, and then when you eat the sour orange or bitter food, the tastes will be getting sweet.